Improving Minnesota's mental health care through education, advocacy and sound psychiatric practice. Our vision is physician leadership creating the nation's highest quality, affordable and accessible system of mental health care. 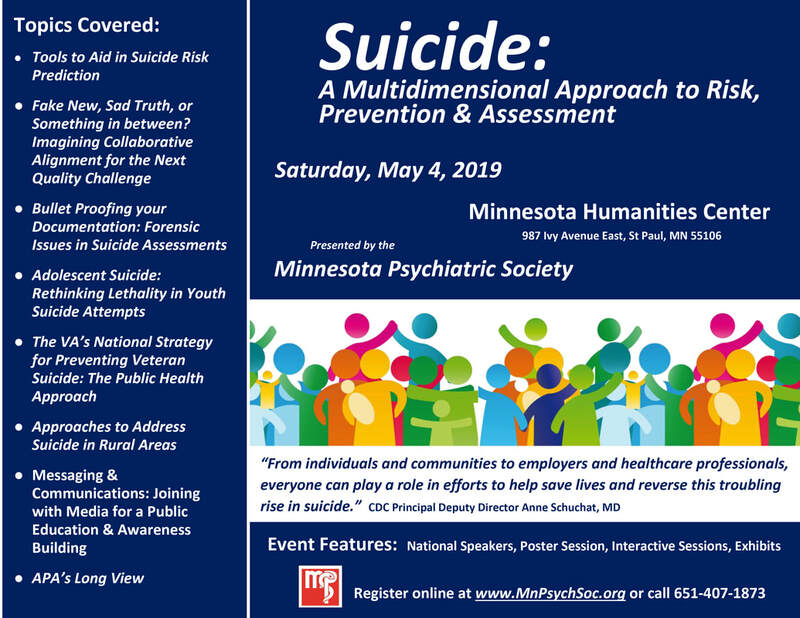 Minnesota psychiatrists are invited to click here for more information and to JOIN! MPS members make a difference! Connect with your colleagues from the US and around the world. R E G I S T R A T I O N O P E N ! Click here. Submit your proposal online here. Fast-Tracker is Minnesota's online database of mental health and SUD treatment program resources. ​Visit the site to find services and treatment openings, make referrals, get updates, and check the calendar for community supports and events for patients and clinicians alike. Go to Fast-TrackerMN.org or call 651-426-6347.